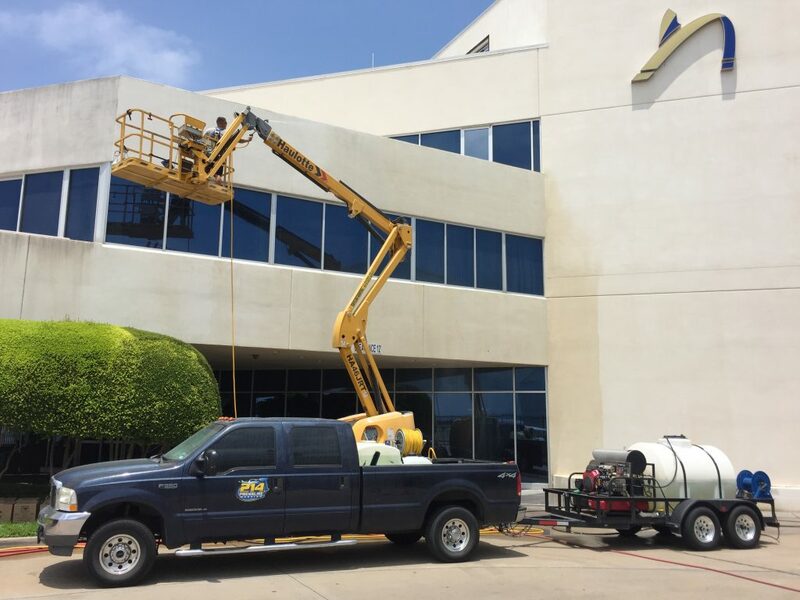 214 Pressure Washing is a Dallas, TX based company offering a comprehensive list of pressure washing services to both commercial and residential customers throughout the Dallas-Fort Worth Metroplex. We pride ourselves in exceeding our customers expectations. We are not like some competitors around town who purchase a homeowner pressure washer at their local home improvement store and call themselves experienced pressure washers. Our equipment is professional grade and our results speak to that. Many companies go out to pressure wash and all they do is “wet the surface” and come up with excuses on why it still looks the same. We utilize heated water up to 250 degrees, pressure up to 3000 psi, along with various tips, nozzles and chemicals to help get the best results possible for our customers. The owner of 214 Pressure Washing started in this business many years ago with subpar equipment, zero experience and a shoestring budget. He has been able to scale his business over the years to become one of Dallas’s premier pressure washing companies. Our pressure washing units are now outfitted with top of the line equipment, we rank #1 in most searches for pressure washing service and even mentor other pressure washing companies that want to grow and learn more about the industry. We currently have large monthly pressure washing contracts with property management companies, restaurants and take on huge commercial pressure washing projects that are easily over $10,000 on a regular basis. We are the real deal when it comes to pressure washing! Contact us today to learn more!